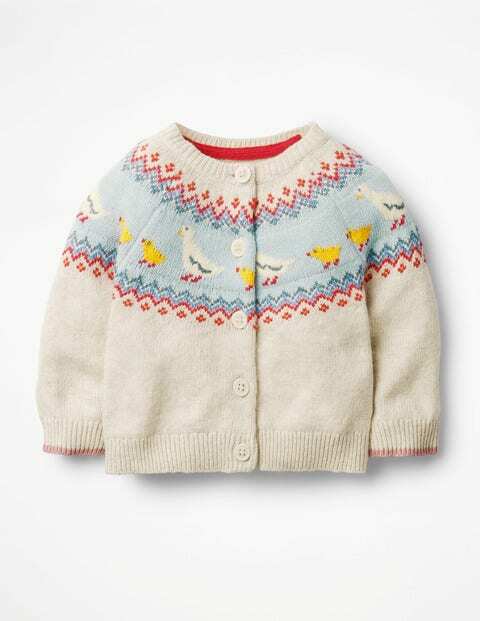 What could be cuddlier than your baby in a supersoft cardigan? We've taken the cuteness factor even higher by adding sweet strawberries on the pockets or ducks that paddle all the way around this design. It's perfect for layering over jersey dresses on chilly days. And it's machine washable, so you can easily take care of little spills.